Tottenham playmaker Luka Modric is in regular contact with Real Madrid coach Jose Mourinho, according to Dinamo Zagreb president Zdravko Mamic. Madrid look set to beat Chelsea and Manchester United in the race to sign Modric this summer and are believed to be edging closer to agreeing a fee with Spurs for the 26-year-old. Modric is already believed to have agreed personal terms and will sign four-year deal with the Spanish giants subject to a price being agreed and him passing a medical. And Mamic has revealed that the Croatia international, who spent five years at the club before moving to White Hart Lane, is constantly speaking to the Los Blancos boss. "Luka [Modric] is a close friend of mine," Mamic told Sportske Novosti. 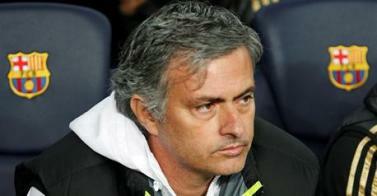 "I can state with reliability that Mourinho has spent the last month speaking to him over a move to the Spanish capital. "I've heard the signing will be done, and am very happy that a person and a player like Modric can project the name of Dinamo and Croatia at the world's most famous club, which is Real Madrid." Madrid are expected to pay around £35m for Modric.